Daily Prayer - What is in Kelvin's Head? Here are the materials that I’ve formatted for using Daily Prayer. This is the way we do it in St Mary’s. In order to know which set of prayers are for which time of year, you need to use a calendar. 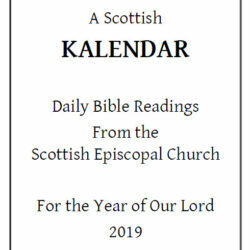 You can download a basic Daily Prayer Calendar for 2009. They follow the order set in the blue book, Daily Prayer. The major difference is that the material is set out in the order you say it and there is no need to announce page turns. Or buy from Amazon for the Kindle version.